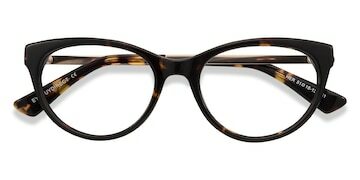 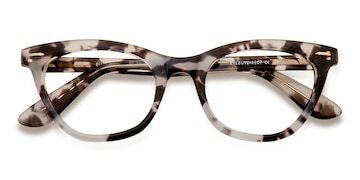 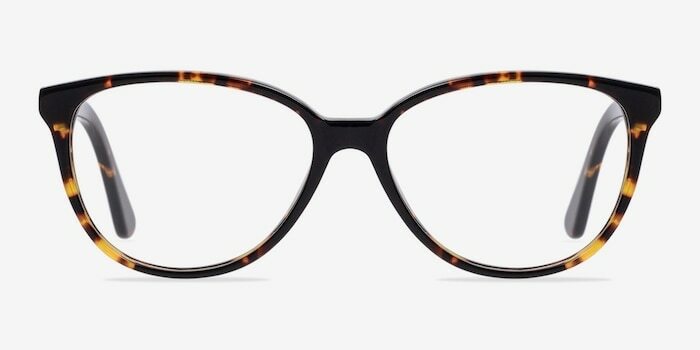 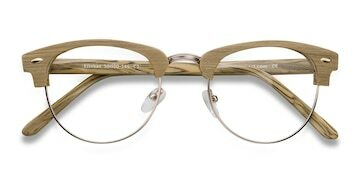 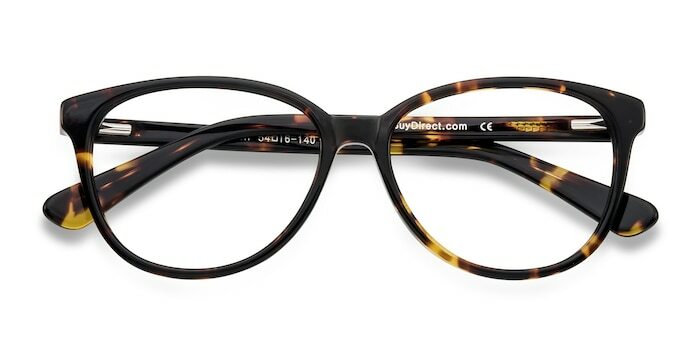 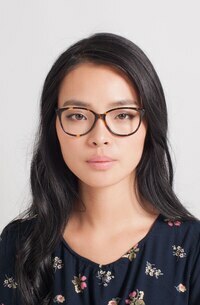 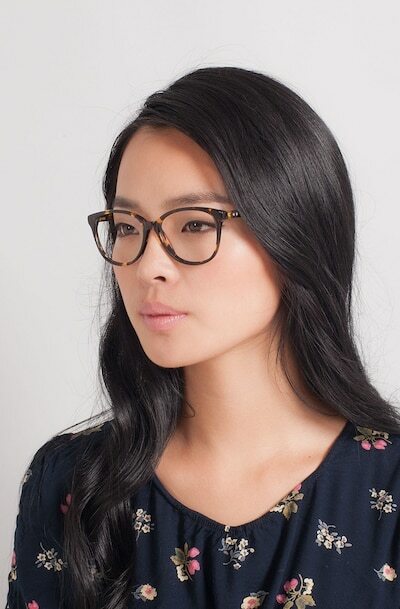 Sophisticated and classy, these tortoise eyeglasses are also mesmerizingly chic. 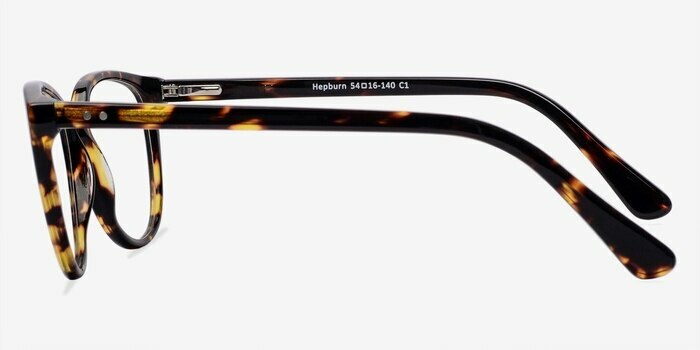 This wayfarer style features a semi-transparent tortoiseshell acetate finish throughout. 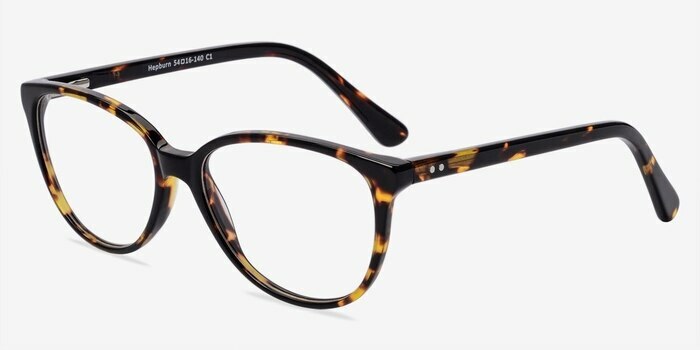 Double stud accents on the temples add subtle detail while flexible spring hinges means you won’t to sacrifice comfort for style.